The new features will increase the competitiveness of the game according to the devs. 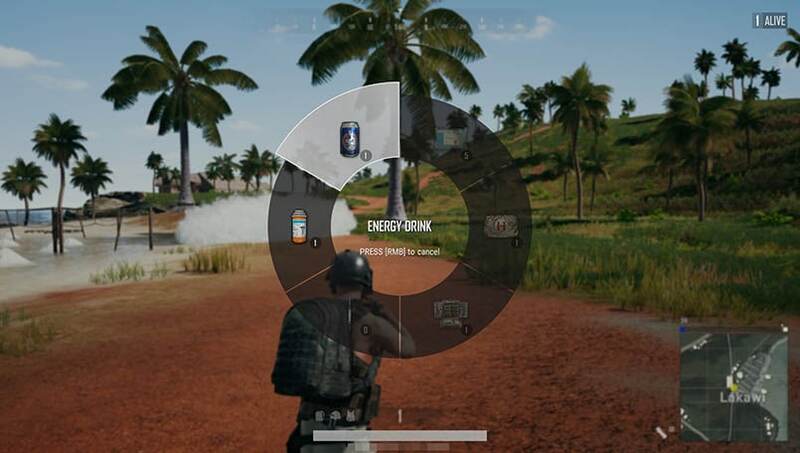 PUBG Corp’s PlayerUnknown’s Battlegrounds recently teased the inclusion of map selection in its next update, but now that the update log is out and the update has hit the test servers, it seems like there is a lot of new additions. The most important among the new features being introduced seems to be the Rank System, which will be ranking players in different tiers. The Ranking System will have different levels like Bronze, Silver, Gold, Platinum, Diamond, Elite, Master and Grandmaster. This will keep the competitiveness alive and the help keep a track of the progress of the player as well. Map selection is being added as well. Skin trade up is another new feature in PUBG where players will be allowed to trade in skins and Battle Points to acquire a skin of a higher rarity. There is also a new UI/UX being implemented where the throwables, consumables and emotes cam be controlled using wheels. The devs are also bringing a network statistics function that will show High latency, Latency variation, Packet loss. There are a bunch of bug fixes this time as well which will affect the performance of the game for the better and fix some long time issues. – WHEEL MENUS: Added UI that allows players to access a quick-select wheel (similar UI with the Emote system) for the quick selection of items without opening the inventory or pressing individual hotkeys. – MINIMAP: Players can now further magnify the minimap. – PLAYER ORDER CONSISTENCY: Player order between the lobby and in-game is now consistent so that players will have fixed numbers and colors based on lobby order when they enter a game. – FRIEND UI: Friend UI has been improved to show logged out / disconnected teammates. – CHARACTER MOVEMENT #01: Fixed the issue where players could sometimes climb stairs much faster while moving diagonally next to the wall. – DBNO PLAYER WALL PENETRATION: Fixed the issue where sometimes a downed players’ character model would penetrate walls. – UNDERWATER: Fixed the issue where players could hold weapons while moving close to rocks while underwater. – SLIDING FIX #01: Fixed the issue where characters would look like they were sliding while standing up if they took out a weapon and stood up at the same time. – SLIDING FIX #02: Fixed the issue where a player appeared to slide when standing up or moving while going prone before landing from a certain height. – STUN AND ONFIRE ANIMATION: Fixed the issue where Flashbang and Molotov stun and on fire animations could be cancelled when repeatedly crouching/standing up/prone/or equipping a weapon. – ARMED ANIMATION: Fixed the issue where characters occasionally appeared to be unarmed when they were actually armed. – PLAYER UI: Fixed an issue where the player UI would sometimes disappear in the observer’s view. – ADS BUG #02: Fixed the issue where ADS worked unreliably when ADSing right after equipping a weapon. – VEHICLE INTERACTION: Fixed the issue where a player sometimes received collision damage from a motorcycle when another player picked up the motorcycle. – CHARACTER POSITION #03: Fixed an issue where a character sometimes rotated even though its feet were fixed when the screen was rotated more than 180 degrees left or right. – CHARACTER MOTION #01: Fixed the issue where a player was sometimes shown as scoping when taking steps next to a wall. – VAULTING: Fixed the issue where characters could vault over other characters when positioned at certain heights. – CHARACTER MOTION #02: Fixed the issue where a player would sometimes clip through the floor of a building when disembarking a motorcycle. – REPORT SPAMMING: Fixed the issue where a player could be reported multiple times by playing the replay over and over. – LOBBY HP BAR DISPLAY: Fixed the issue where a character’s HP bar was sometimes shown in the lobby after exiting the server replay. – POPPING #01: Fixed the issue where a character’s animation popped upward when getting close to the wheels of a buggy. – POPPING #02: Fixed the issue of where a character’s animation popped upward when crouching and standing up near a vehicle. – Improved UI to show rank, KDA, Avg. damage, etc. more clearly. – Trade up requires ten items, and the maximum tier you can get is up to rare(blue) while the system is in testing. We’ll look to open up the system further once we’re satisfied with the balance of the system but please note that any BP costs associated with this system may change. – Player order between the lobby and in-game is now consistent so that players will have fixed numbers and colors based on lobby order when they enter a game. – Fixed the issue where players could sometimes climb stairs much faster while moving diagonally next to the wall. – Fixed the issue where a downed players’ character model would sometimes penetrate walls. – Fixed the issue where players could hold weapons while moving close to rocks while underwater. – Fixed the issue where characters would look like they were sliding while standing up if they took out a weapon and stood up at the same time. – Fixed the issue where a player appeared to slide when standing up or moving while going prone before landing from a certain height. – Fixed the issue where Flashbang and Molotov stun and on fire animations could be cancelled when repeatedly crouching/standing up/prone/or equipping a weapon. – Fixed an issue where the player UI sometimes disappeared in the observer’s view. – Fixed the issue where ADS worked unreliably when ADSing right after equipping a weapon. – Fixed the issue where a player sometimes received collision damage from a motorcycle when another player picked up the motorcycle. – Fixed an issue where a character would sometimes rotate even though its feet are fixed when the screen is rotated more than 180 degrees left or right. – Fixed the issue where a player’s motion was sometimes shown as scoping when taking steps next to a wall. – Fixed the issue where characters could vault over other characters when positioned at certain heights. – Fixed the issue where a player would sometimes clip through the floor of a building when disembarking a motorcycle. – Fixed the issue where a player could be reported multiple times by playing the replay over and over. – Fixed the issue where a character’s HP bar was sometimes shown in the lobby after exiting the server replay. – Fixed the issue where a character’s animation would pop upward when getting close to the wheels of a buggy. – Fixed the issue of where a character’s animation would pop upward when crouching and standing up near a vehicle.